There has been a lot happening in my world. 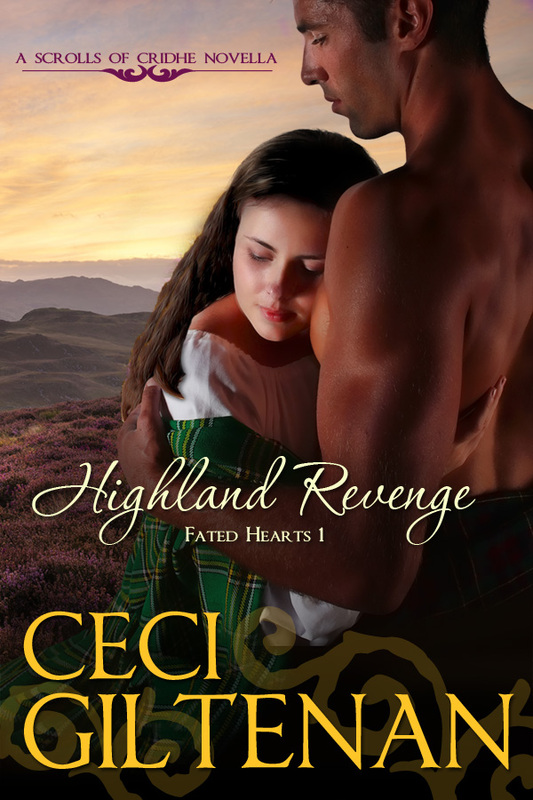 The most exciting is the release of Highland Revenge as a single (paperback and ebook) and the upcoming release of Highland Echoes (available at a special low price for pre-order). Both are available exclusively on Amazon. Soaked by the late spring rain and chilled to the bone, Bram Sutherland thought the gates of home had never looked so inviting. It had been a long, wet ride from Castle MacKay. The skies had only cleared in the last hour. They would have been welcome to stay another night waiting out the storm at Naomh-dùn, the MacKay stronghold, but thankfully his father had declined. Bram couldn’t stand the thought of spending another minute there. His betrothed had married Eoin MacKay. Bram hadn’t wanted to linger and be reminded of his loss. Letting Fiona MacNicol go had been the right thing to do but that didn’t make it less disappointing. Until yesterday he hadn’t even met her. But once he had, he found her not only beautiful, but strong, loyal, and possessed of a loving heart—a heart that was, unfortunately, deeply in love with Eoin MacKay. Even though Bram had been tempted to force the terms of their betrothal contract, her heart would never belong to him and he couldn’t bear to see her unhappy. “Bah. Love. Kentigern MacKay would never have stood for this.” His father’s tone of voice clearly conveyed how unimportant that detail was. Bram just shook his head at his father’s utter dismissal of the emotion. Bram had understood from an early age that he would marry a woman of his father’s choosing, a woman who strengthened clan ties. He hadn’t thought much about love and perhaps had discounted its importance as thoroughly as his father had. That was until he saw Fiona and Eoin together. He didn’t want to admit it, but he envied them. By all the saints, Bram loved his mother but he didn’t have the patience for an inquisition tonight either. Bram led Goliath into the stable, removed his tack, rubbed him down, and fed him an extra portion of oats. When he had finished, he was still not anxious to face the crowd certain to have formed in the great hall. He could avoid it by going straight to the kitchen. Innes would give him food and ale and he could slip up the backstairs, avoiding the great hall altogether tonight. He actually might be able to get through this day without having to rehash everything yet again. Bram walked from the stables through the outer bailey heading to the rear entrance to the inner bailey, near the kitchens. As he passed one of the small dwellings located within the outer bailey, a woman’s voice, perhaps the most beautiful voice he had ever heard, drifted toward him on the breeze. He stopped to listen. The tune was unfamiliar and he couldn’t quite catch the words, but it was delightful. He followed the enchanting melody, drawing close enough to the source to understand the lyrics. Hush my sweetling, little dove. They were the nonsense words mothers crooned to bairns, but he was entranced by the soft, sweet voice of what could only be an angel. He stopped in front of the tiny cottage to listen. Hush my sweetling, little sprite. The woman stopped singing words but continued to hum her lullaby until finally her voice faded away altogether. Bram was so captivated by the music it took him a moment to realize it had emanated from Innes’ cottage. However, it certainly was not Innes singing. She would be in the kitchen or the keep now, overseeing the evening meal. Who was it then? As if in answer to his unspoken question, a young woman he had never seen before stepped out of the cottage. She was perfectly lovely. Her face was delicately beautiful; as angelic as her voice. Rich auburn hair spilled from under a white kertch in soft curls that reached well past the middle of her back. Tall for a woman, she had full breasts and her belt cinched a narrow waist. She stretched and rolled her shoulders, her movements graceful and oddly enticing. Bram felt a twinge of disappointment when his brain registered the kertch. She was married. Of course she was—she had been crooning a lullaby to a child. “I’m sorry, I didn’t intend to.” Why was he apologizing to her? He had committed no offense. He took a step toward her. She went from frightened to ferocious in a matter of seconds. “Stay back. What are ye doin’ here anyway? Who are ye?” she demanded. “Aye, I have a young daughter. I should go back inside. I just stepped out for a bit of air. The rain kept us indoors all day.” Again, her hand groped behind her, searching for the door latch. He was surprised by the expression on her face. It wasn’t anger or fear of discovery. The green depths of her eyes were guileless and she appeared…was it grateful? “Goodnight laird—I mean Bram—I mean sir. Goodnight.” She backed through the door and closed it. Bram sighed heavily. “I suppose it was vain hope to think I could avoid this.” Bran fell in step by his brother as they walked to the keep. “I suppose ye are right. Well then, let the interrogation begin,” said Bram as they entered the keep. This is exciting news! I can’t wait to read it! Thanks for the taste.